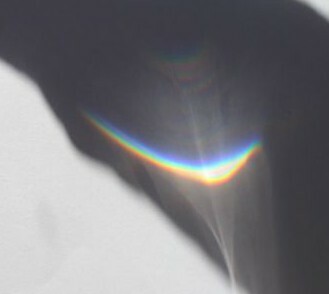 With a glass of water and a sheet of white paper on a sunny day, we caught a rainbow! We held the glass above the paper in the bright sun shining in through our window. 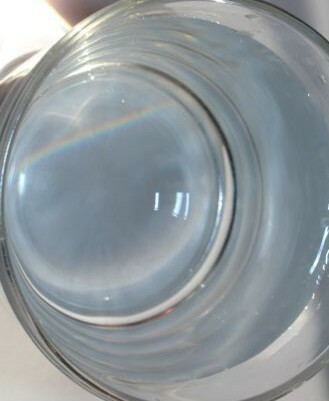 The light hits the water in the glass and bends (refraction), causing the white light to split into its component colours, forming a rainbow. We caught the rainbow on the white paper, behind and below the glass. 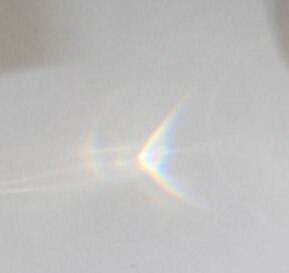 It was a little hard to see in the bright sun, but when L placed her arm in front of the window to create a shadow on the paper where the rainbow was falling, it clarified it. The rainbow in the shadow of L’s arm. 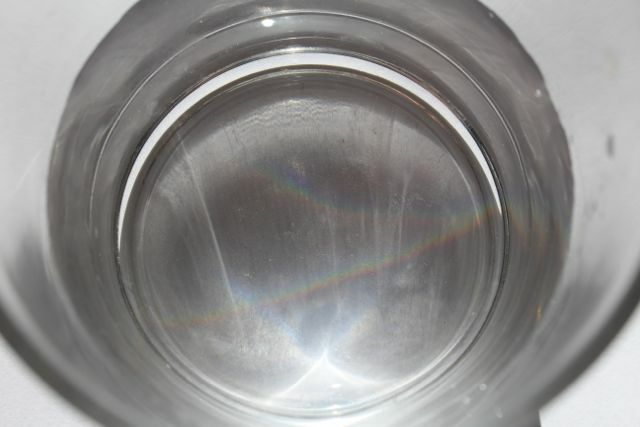 When we placed the glass of water onto the paper we could see a rainbow in the bottom of the glass. The kids thought this was a wonderful and fascinating little experiment. More rainbows in the glass.